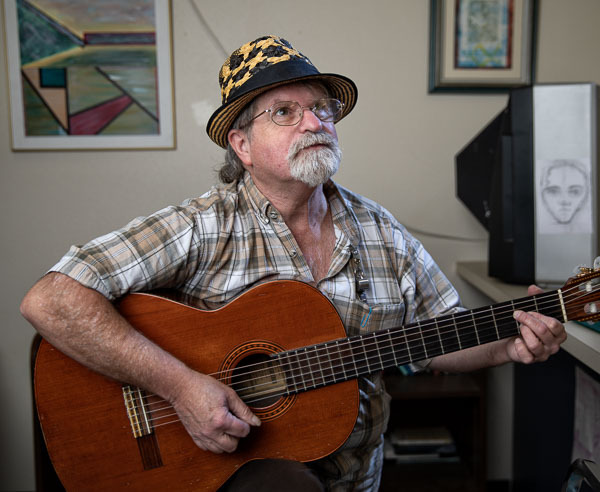 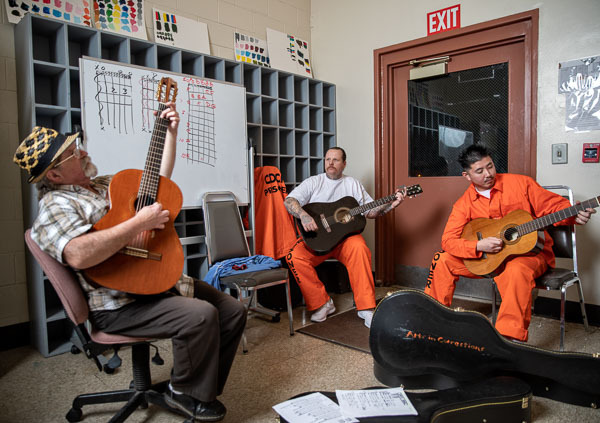 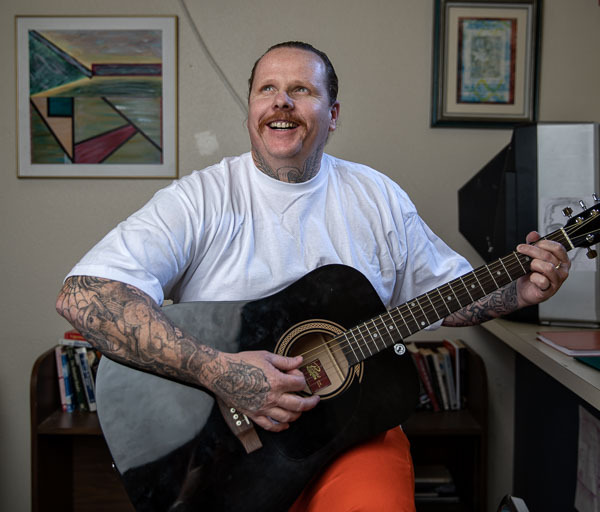 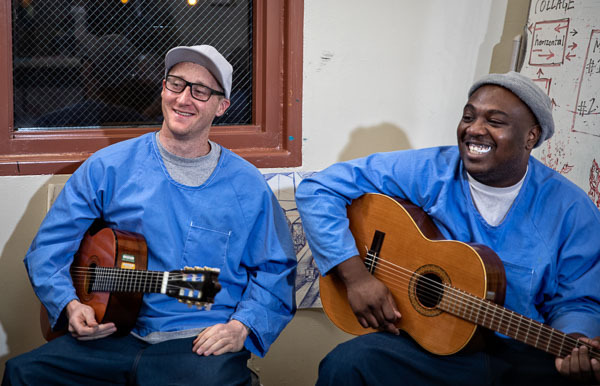 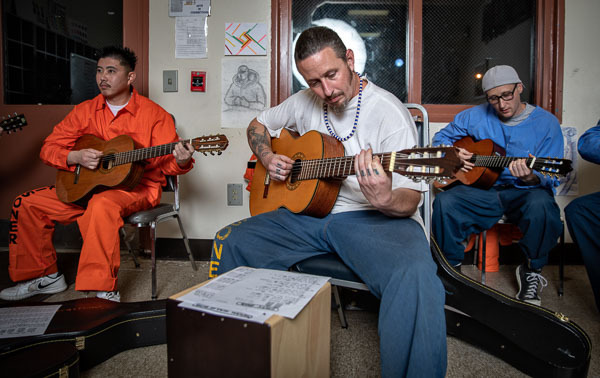 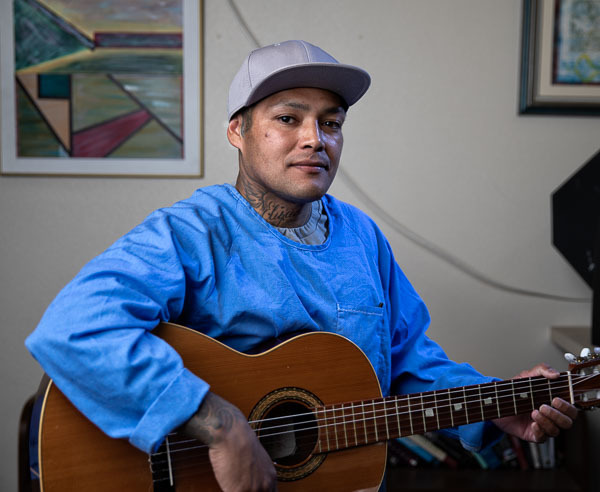 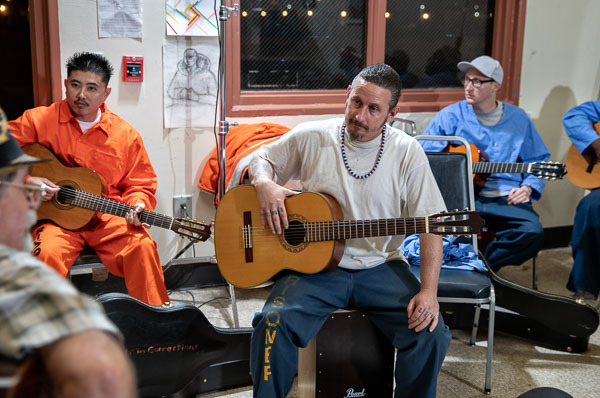 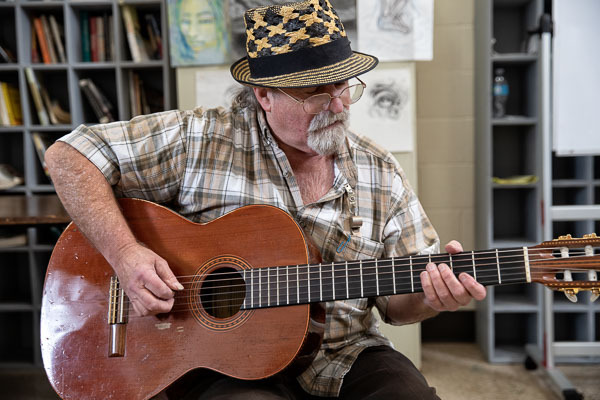 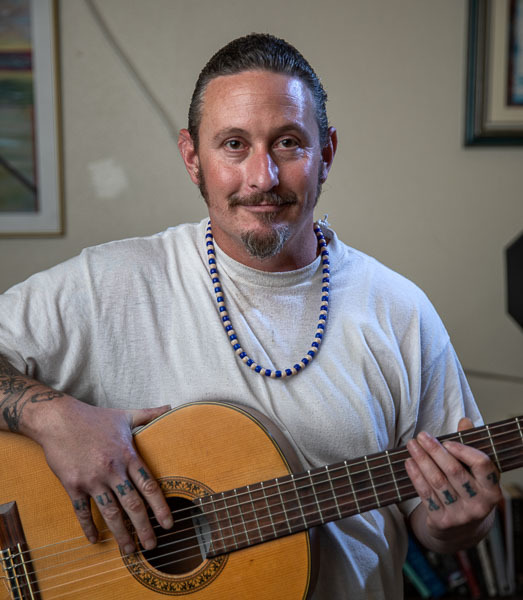 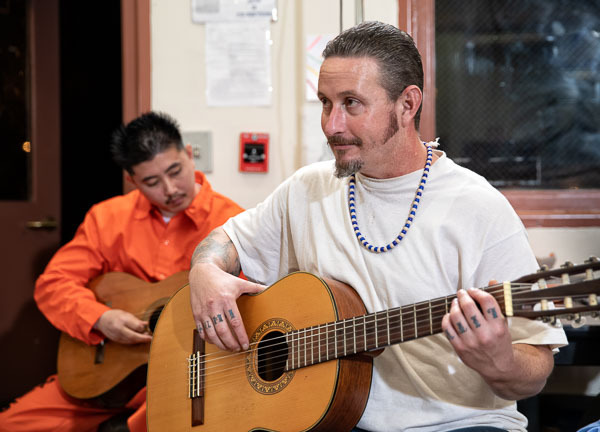 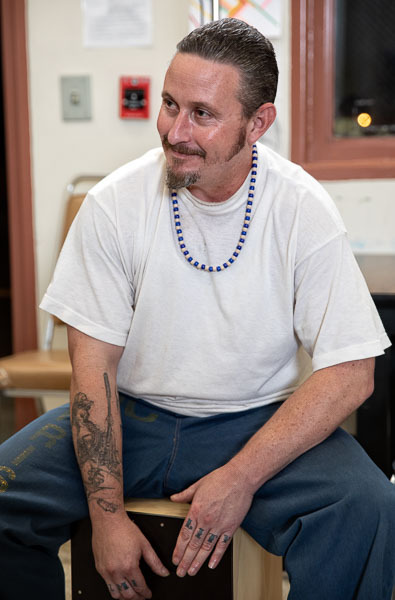 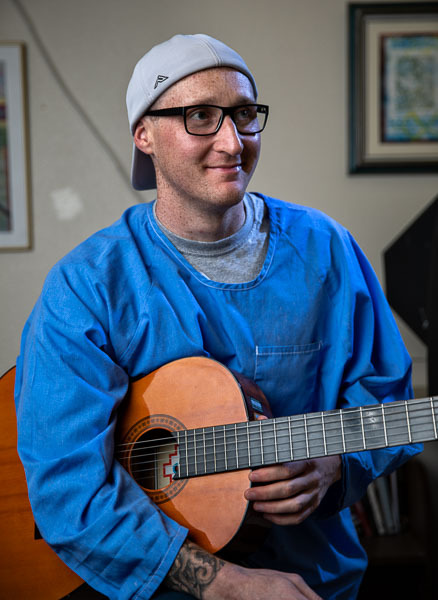 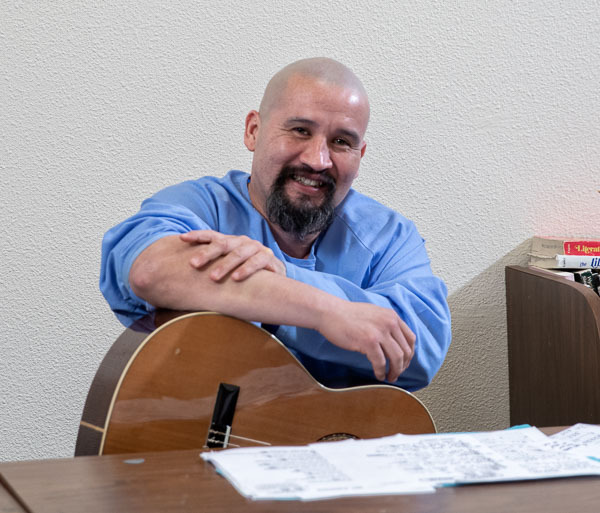 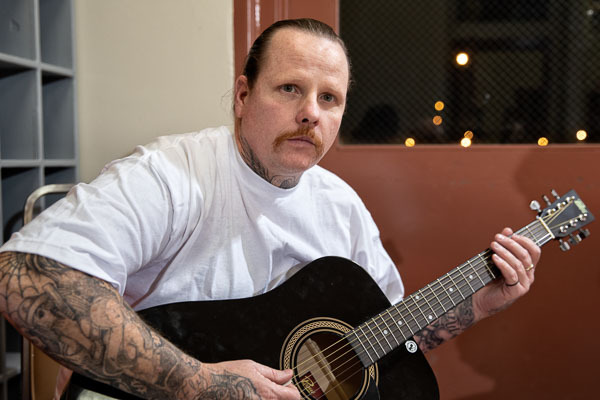 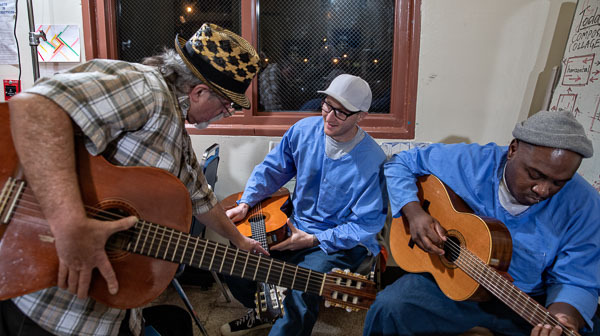 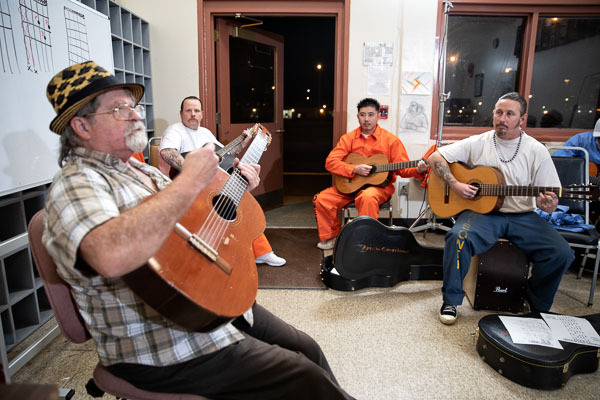 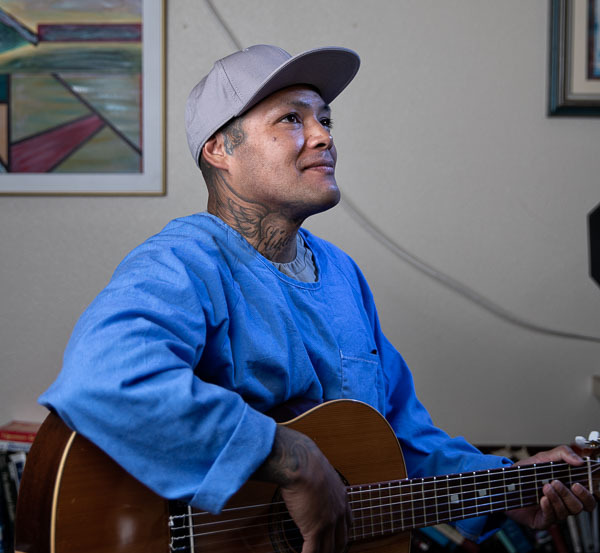 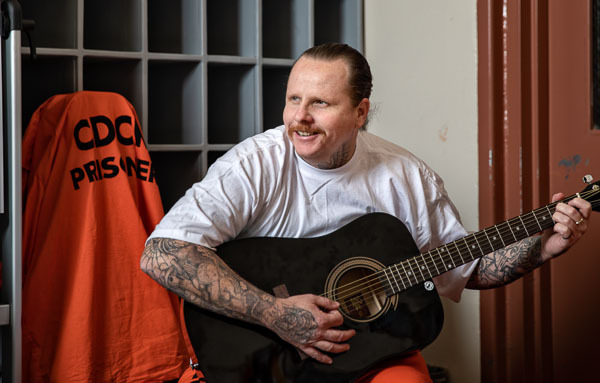 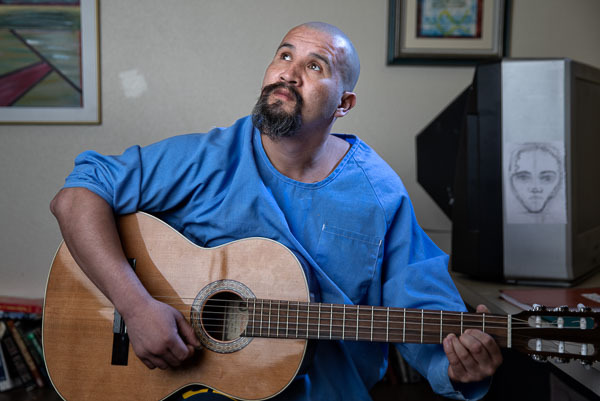 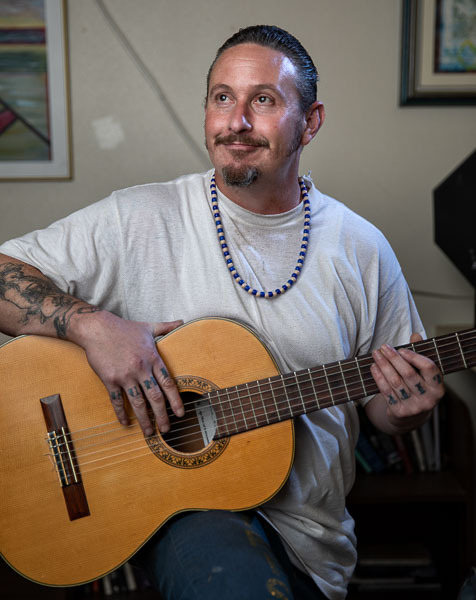 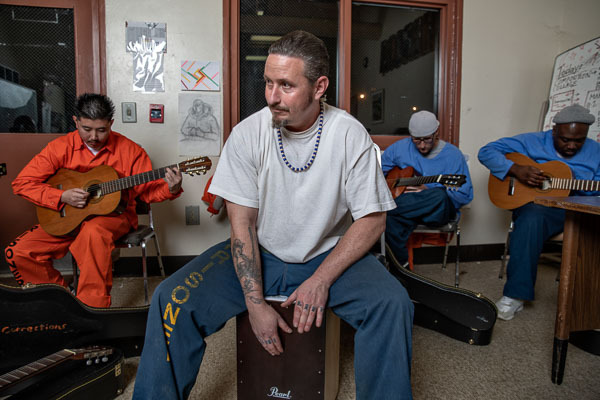 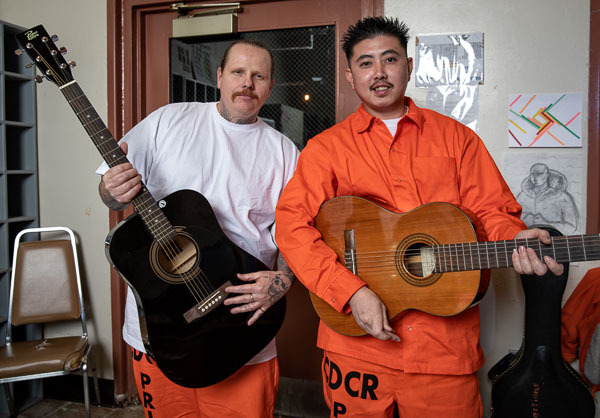 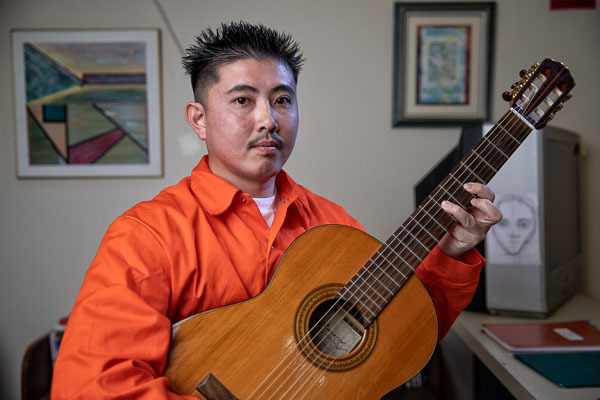 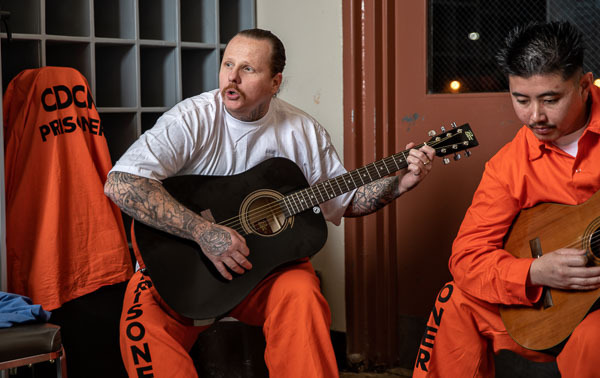 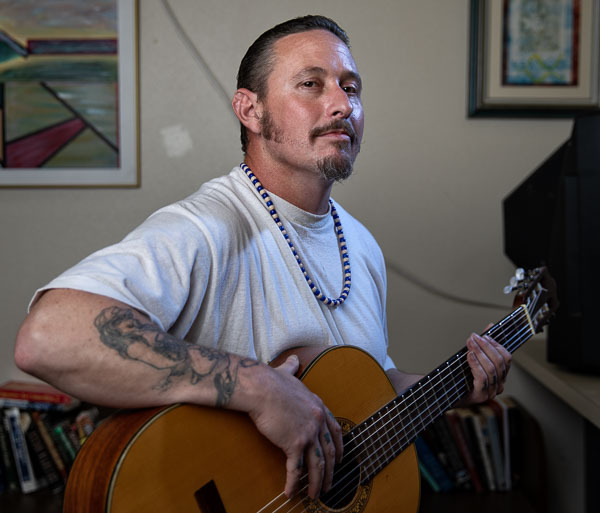 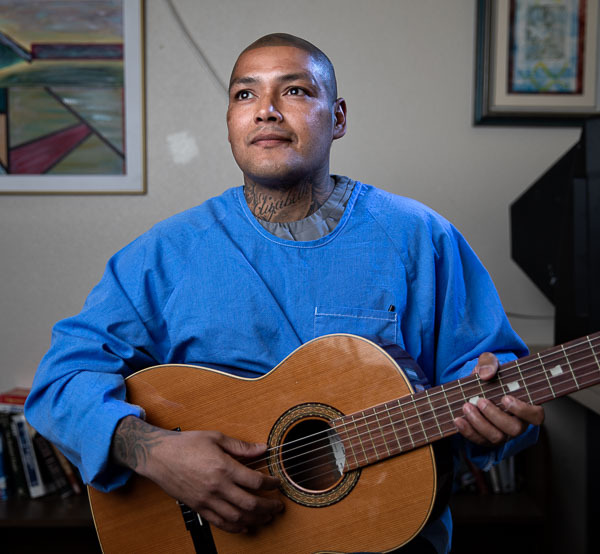 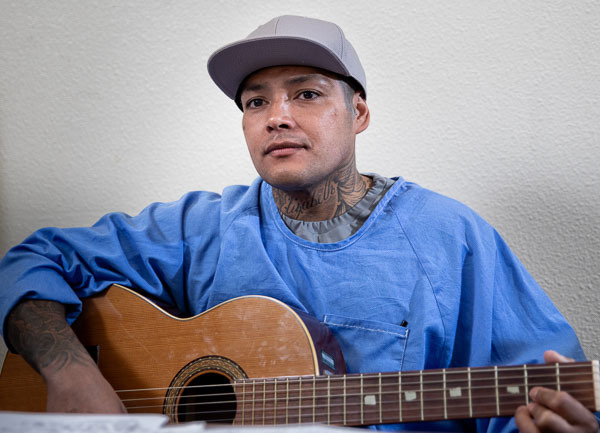 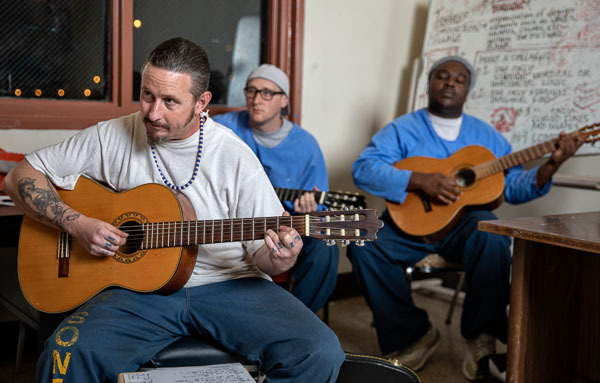 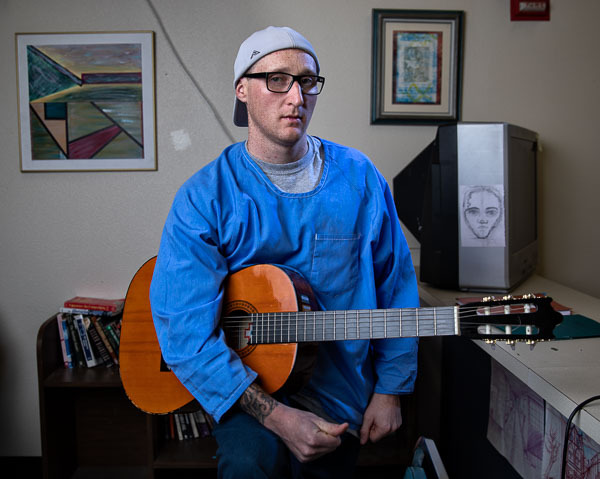 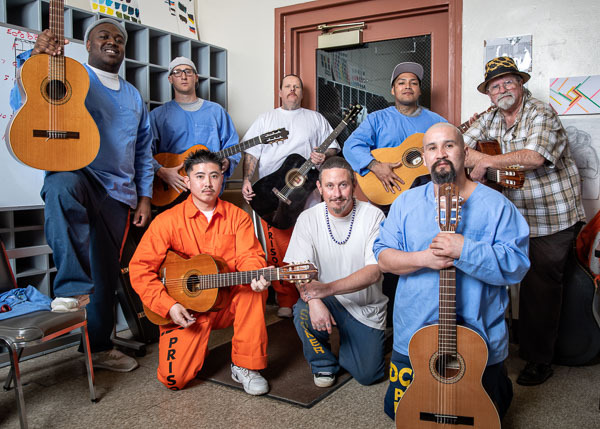 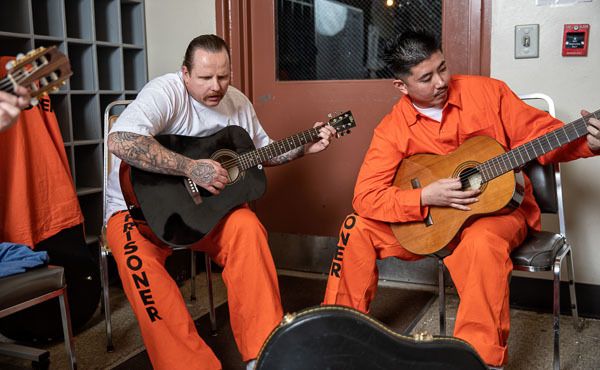 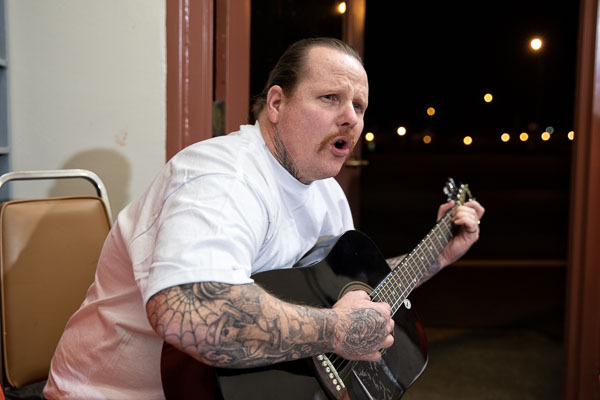 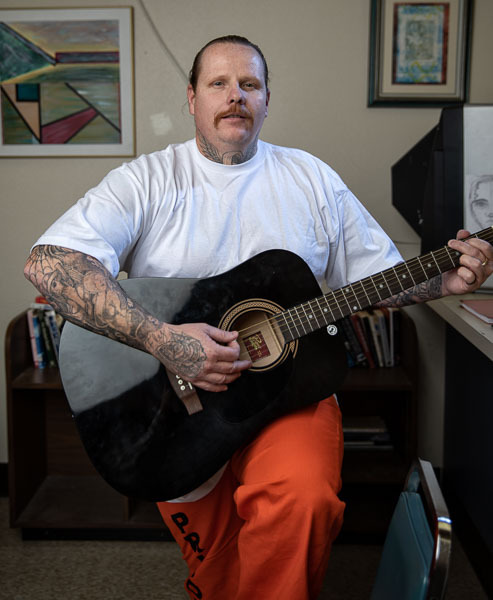 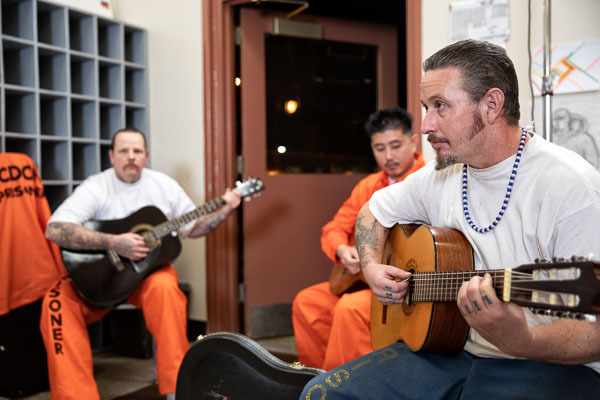 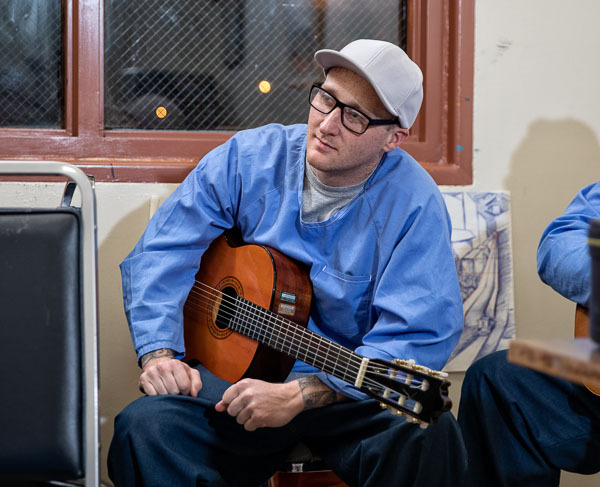 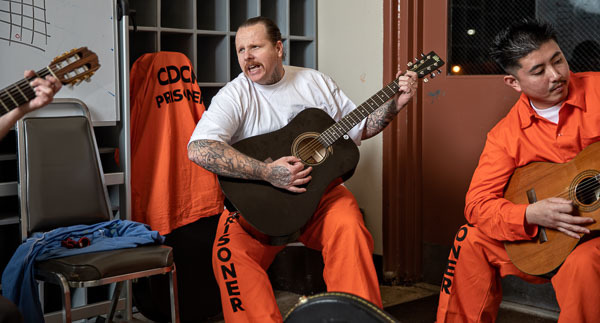 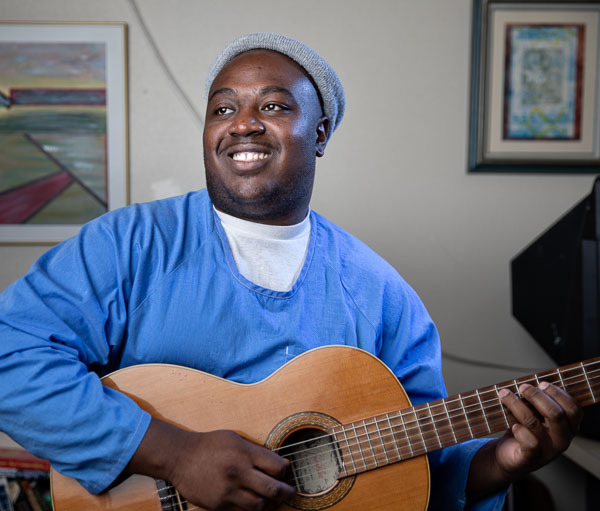 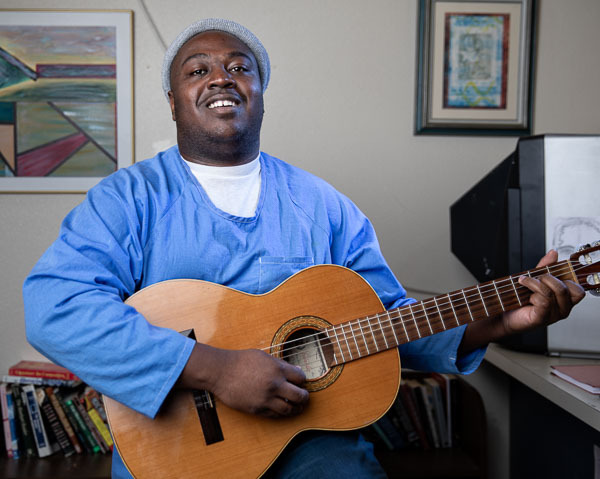 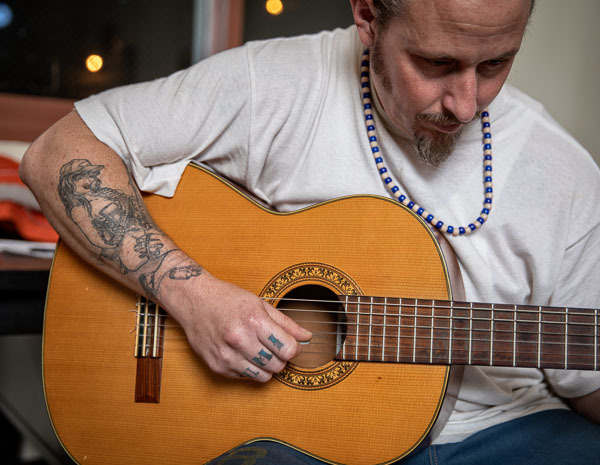 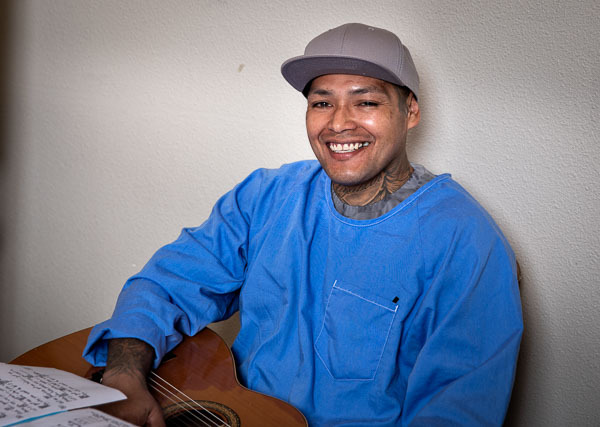 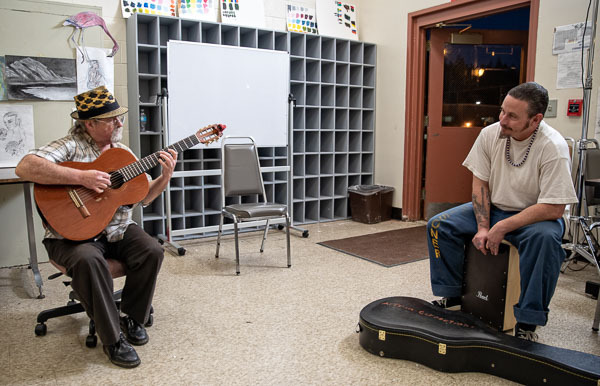 Guitar at Pelican Bay State Prison - 2019 Jan. 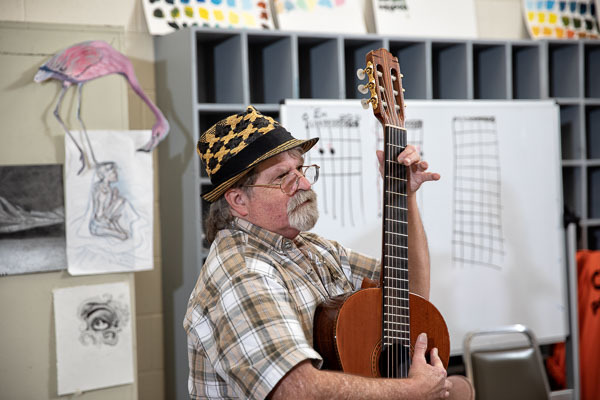 This guitar class is taught by Dale Morgan; he is sponsored by the William James Association. 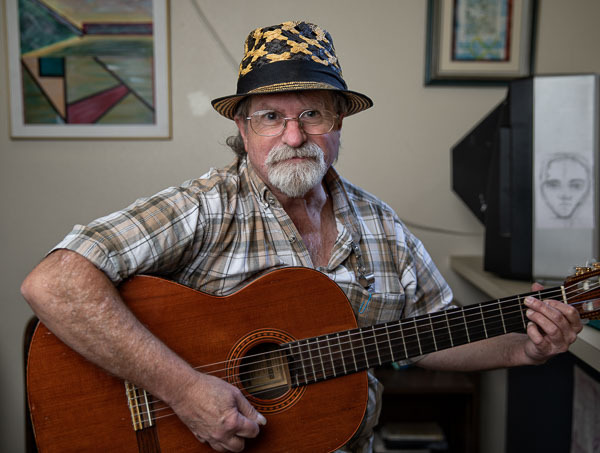 As I was working with Dale to schedule this photo shoot, a request came from one of his students to conduct the shoot no later than the first week in January. 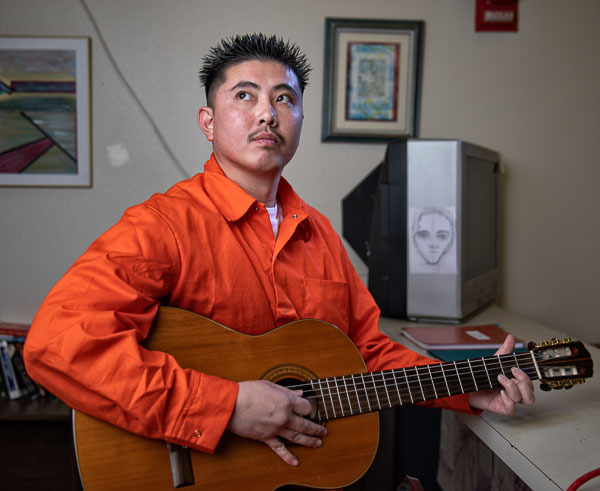 In the second week of January, the student was to be released—and he wanted to be photographed with his classmates. 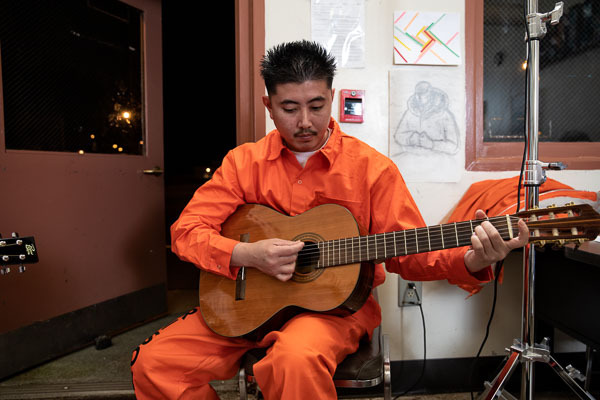 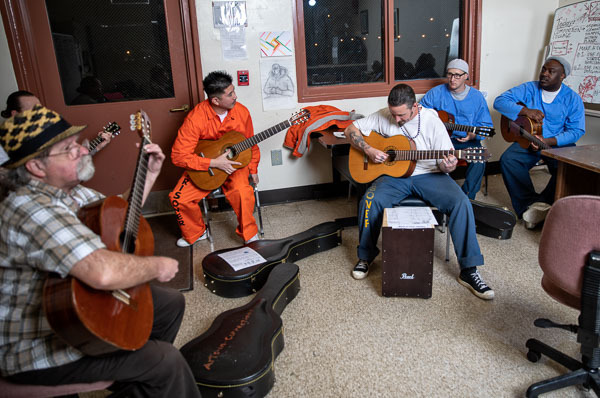 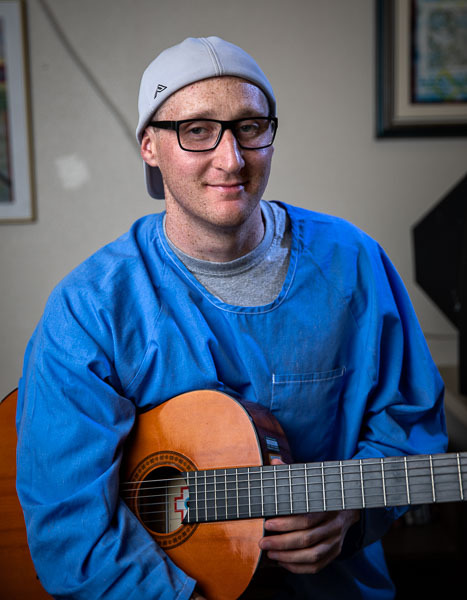 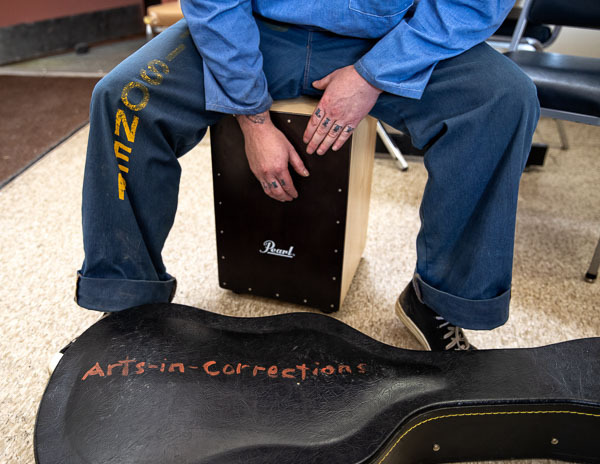 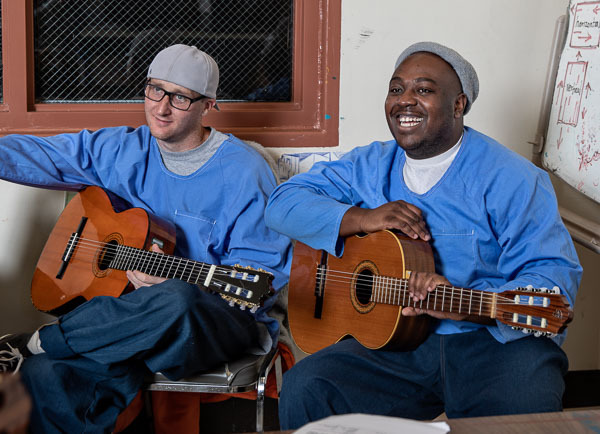 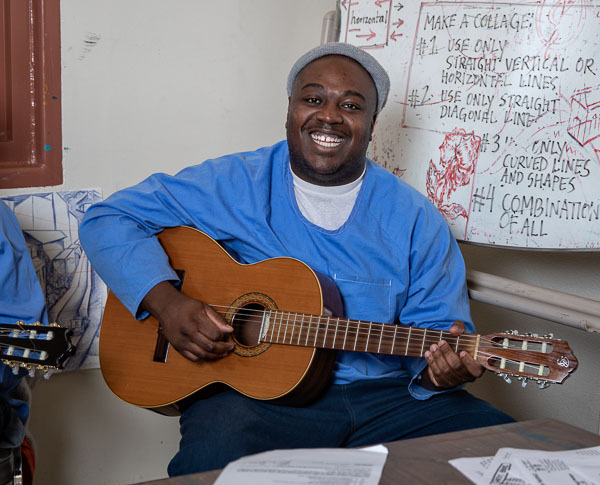 The prison staff was kind enough to accommodate this request, and I did get photos of this guitar student. 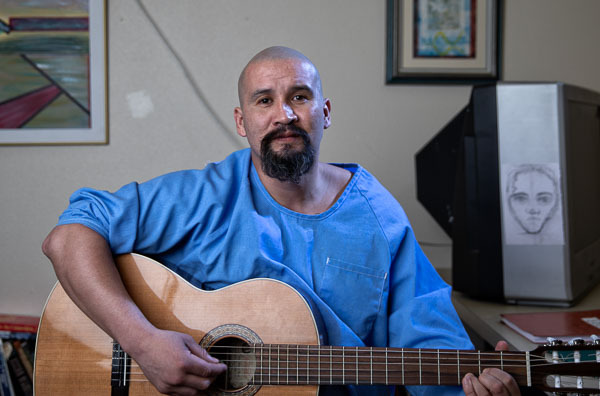 He will be reviewing them on this website as a free man.